An ‘angry’ Audi driver was pulled over twice on the same evening by traffic cops who clocked him doing 130mph. 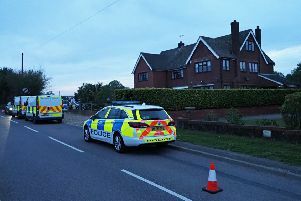 Officers from the Bedfordshire, Cambridgeshire and Herts Road Police first pulled the man over at around 10pm on June 24. He was reported and later seen speeding at 95mph when he had to be stopped again. Police say he told them he was ‘angry’ at being pulled over and reported twice in a matter of hours.